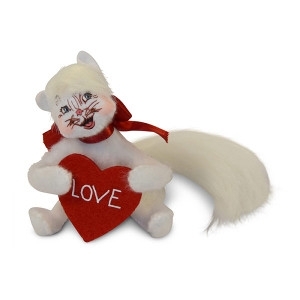 This 4 inch white kitty is adorable with its large red ribbon. It is holding a red heart with the word LOVE across the front of it. Fun item to decorate with and makes a wonderful gift for a special someone in your life!